Worldwide, in a time when death statistics were poorly recorded, estimates range from 30 million to 100,000 million dying of the Spanish Influenza Pandemic of 1918-19. Over 675,000 Americans civilians died of this pandemic in 1918–19, more than all military personnel killed in WWI, WWII, the Korean War, and the Vietnam War. 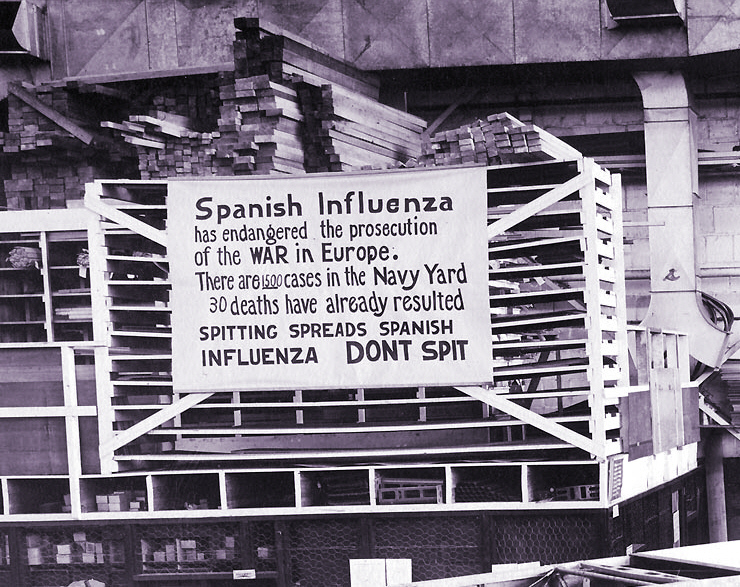 The odds of death from the Spanish Flu in the American civilian population of 103,208,000 was 1 in 153. The Influenza Pandemic also swept through the military, an army with an end strength of 4,128,479 and navy with an end strength of 530,338 in World War I in 1918. According to records from the Army and Navy (which included the Marine Corps), the death rate was 25 percent higher in the Army than in civilian population, primarily hitting servicemen ages 20–40. 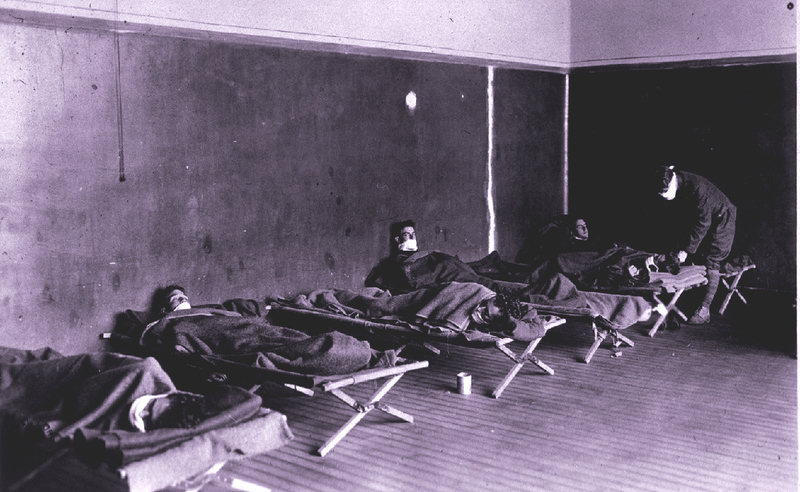 Reportedly 25 percent of the Army and 40 percent of the Navy fell ill in the flu pandemic. According to the Army Medical Corps Historical Section, 1,125,401 soldiers were admitted for treatment for respiratory disease brought on by influenza. 46,992 Army servicemen died of the respiratory flu (roughly 6,000 fewer than the 53,000-plus soldiers who were killed in combat or died of wounds as a result of combat action in the war). The total number of Army deaths to all diseases was 58,119 in the war,of which respiratory disease from influenza accounted for 46,992 (80.35 percent of all deaths caused by disease). New recruits were hit the hardest, with 60 percent of all those who got sick had been in the military less than four months (many coming from rural areas where they had less immunity than city dwellers). By the first week of October 1918 45,000 soldiers were sick in military camps and 340,000 soldiers were hospitalized in France (at the height of the Meuse-Argonne Offensive of 1918). General Pershing, CIC for the AEF and the Army Chief of Personnel were both hard pressed to field a healthy army to effectively fight the German Army in October 1918. Also, of the 121,225 Navy/Marine/Coast Guard personnel admitted for treatment at Naval Hospitals for influenza, 4,158 died (twice as many died of the flu than died in combat action from the sea services in WWI). These figures total: 51,154 American service personnel dying of the flu in 1918 (44 percent of all the 116,000-plus in the line-of-duty deaths of American servicemen in WWI). The reason that the military was hit so hard is that this flu affected healthy individuals harder. Recent research has shown that unlike most flu that has the greatest impact on the old and young, this strain hit hardest those with healthy lungs. It seems to have thrived deep in the lungs, so those who took strong breaths were hardest hit. Training exercises and close contact would have been ideal settings for infection and spread. 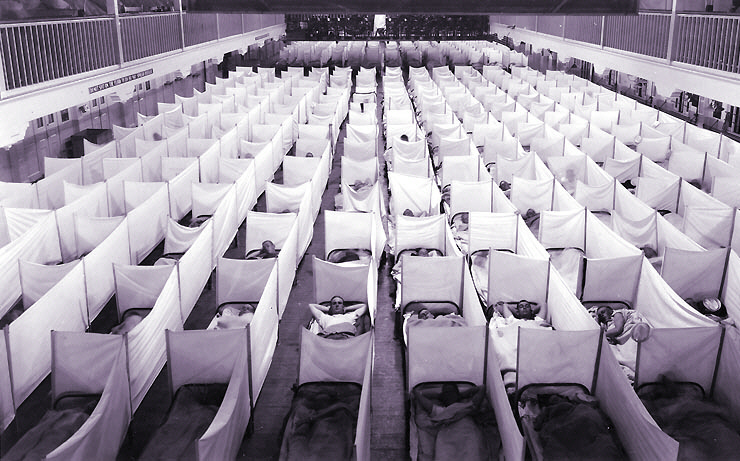 This event rarely spoken about today, except among medical infectious disease specialists, CDC scientists, and in federal and state public health circles, who study this influenza virus for clues to solve this great threat to the world, if a variant of this 1918 flu repeats itself with devastating consequences in the 21st Century. The CDC estimates deaths ranging from 150 to 300 million the next time around this flu hits...which they say is "overdue". This is the "other war story" of World War I ..."the rarely told battle with disease" in the Great War "over there" and "over here," that you will not hear much about during the WW I Centenary . It is a story of "ringing out danger and warning" of an impending repeat performance of this piece of history in the 21st Century. We need to vigorously prepare for this virulent flu epidemic repeating itself, but as yet we do not have an adequate answer to it, by designing and manufacturing a "just in time" vaccine to make a difference (most vaccines take 6 months to manufacture once the virus is identified and a vaccine is matched to it)...and by then the deadly flu has rapidly run its course. We also do not presently have the capacity to handle the mass casualties in our hospitals or in our communities effectively if a variant of the 1918 flu pandemic strikes again. We just have not, as a country, invested the financial resources to meet such a crisis or prepare for this history repeating itself in our time. With gratitude I recognize Chaplain Thompson's continued effort to expand our definition of hero! Please share his work and help others understand that while heroes did die in battle, the also died in their cots, hospital beds and elsewhere. Their service is equally commendable. They died in service to their country! Very amazing how this story is great. Just Who Were the Polar Bears?